Following The Way . . .Together! Welcome! I have spent years considering the ways that faith, culture, educational practices, and media intersect when community members share their faith. 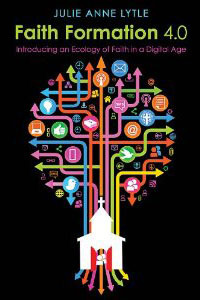 I collected insights I’ve had about the process in Faith Formation 4.0: Introducing an Ecology of Faith in a Digital Age (Church Publishing Inc., 2013). The book explores how Christians have been Story-keepers, Story-sharers, and Story-makers through four eras of human communication. This site extends information offered in the book through a blog, “Connecting the Dots,” that adds my commentary on new methods and media as they emerge as well as through Forums where we can interact with one another as we explore the digital landscape. These elements unbind the printed page through a virtual conversation where we we reflect together on our digital world. One premise of the book is that we are formed and fashioned – consciously and unconsciously – by our environments. This is particularly important in a mediated world. By their nature, each medium forms and shapes a message, as well as the sender, the receiver, the relationships they have with one another and their environment, as well as the very environment that they find themselves in. In addition to spawning opportunities and imposing constraints on the ways we relate to and with one another, the characteristics of each medium influence how and what we think and feel. Some are obvious; any film aficionado can recount the effect of dramatic music and impressive camera angles. Others are subtler; news editors in every medium tell us what is important each day by what they choose to include and what they exclude (history is always written by the victors). Consider the difference between words published in a book and the same words available online. A book has a structure that deliniates a linear argument. The beginning identifies a topic to explore or a problem to solve, then the body of the text systematically presents information that leads to a conclusion at the end. As a broadcast medium, a book conveys its message from one person (the author) to many (the readers) without an ability to reply. Whether or not we agree with the author, readers are given an interpretive framework and follow the author’s logic; s/he has the final word. Without an inherent feedback mechanism, readers generally defer to the author’s position as the authoritative source of information and site of a definitive conclusion. Additionally, a book’s text is fixed, static, on a printed medium and the ideas shared through them are durably recorded for as long as the paper they are printed on lasts. In contrast, the Internet is a hyperlinked, digital environment. Its non-linear structure provides users grappling with a topic or problem the means to “surf” broadly or to dig deeply through links that connect all sorts of text, audio and video resources. This places responsibility for interpretation more heavily on Internet users. As a networked medium, conclusions are contextualized and democratized. Authority is shared and offers opportunities for anyone to have a voice; it is also relativized, leaving each user to draw their own conclusion. The Internet is also a dynamic and interactive medium; pages can change instantaneously, local presentations can be accessed from around the world, and participants can exchange ideas and debate issues in a variety of synchronous (live) and asynchronous (recorded) ways. While it is not possible to control all the elements that form and shape us, we can be more conscious of them and their effects. Thus, those responsible for lifelong faith formation need to know not only how to take advantage of the opportunities and minimize the limitations of each medium, but also how to illuminate the formational roles these media have on individuals and communities. Not comfortable with the constraints of either the printed or digital word, I offer a hybrid format providing resources in print (book), digital (ebook), and interactive formats. 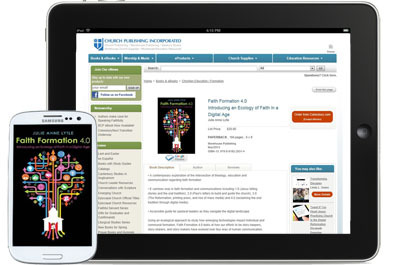 The book and ebook are foundational; they systematically develop my theses that all media are formative and that faith formation best occurs when pastoral leaders select communications media and educational methods to serve their learning outcomes. Some readers will appreciate the logic of the text’s chapter progression and will read them in order; others will be grateful that each chapter is a self-contained essay that can be rearranged according to their interests and needs. This website, particularly the blogs, stretch the boundaries of the book and point to places off the printed page that are more current, expansive, and interactive. The forums are a place for us to continue and expand the conversation. I hope you will join me in the forums. There is much we can learn from and with one another. I look forward to our interaction.